It is my great pleasure today to introduce Kirsty Murray, the author of the beautiful India Dark, to my blog today! Welcome Kirsty :) Kirsty is here talking about herself and the ways in which writing has fit into her life. It's really interesting guest post, thank you so much! I was the middle child in a family of seven kids and when I was really little my parents took us all on a disastrous family holiday. We spent a week trapped inside a caravan while it rained and rained and everyone argued or complained. Perhaps it was good preparation for understanding the cabin fever my characters would suffer when I wrote India Dark. My mother swore she would never take any of us anywhere ever again. She relented ten years later but in the meantime I spent a decade of childhood summers in suburban Melbourne messing around in the back yard. I was really hungry for travel and adventures but the only way I could go somewhere interesting was to disappear into a book. Reading was also a way of carving out a private space for myself in a very busy, chaotic household. I loved the life I led inside books, even if there was a disjuncture between my reading (mostly British and American fiction) and the life I was leading in Australia. I was hugely influenced by my reading. I started writing very bad Blyton-esque adventure stories when I was in primary school. I graduated to writing the first three chapters of unreadable fantasy novels (I never got past three chapters) in secondary school. Then I moved on to writing realistic stories where nothing much happened. Eventually I decided I needed to actually live a bigger life so I would have something interesting to write about. My parents immigrated to Canada when I was fifteen and I fell in love with the idea of travel. I moved to California to live in an indoor-outdoor house when I was eighteen and then wandered back to Australia where I met my first husband. We travelled around Australia in a kombi van, had three kids, started a graphic arts business together, moved to France, then to Wales and all the time I was thinking “When I grow up, I’m going to write a novel.” I married a second time to a man who ran a children’s circus and had three kids of his own so we suddenly had a Brady Bunch and I found myself living in a household that was even more chaotic than my childhood home. And all through this time I continued to scribble pages of unfinished novels and short stories. It wasn’t until my kids were in school that I realized I would never write anything if I didn’t sit down and take writing seriously. Living a big life isn’t necessarily helpful in terms of producing a solid body of creative work. I think up until I hit the desk with a vengeance in my mid thirties, I’d made the mistake of thinking that all writing needs to be auto-biographical and I’d run myself ragged trying to lead a life that I thought might be interesting enough to write about. But writing fiction is about using your imagination to enter other people’s lives, not simply your own. It’s about trying on other people’s skins, seeing the world through their eyes and having the chance to live more than your own narrow existence. In that way, it’s not so different to reading. When you write, you enter other people’s worlds and through them, other ways of being. 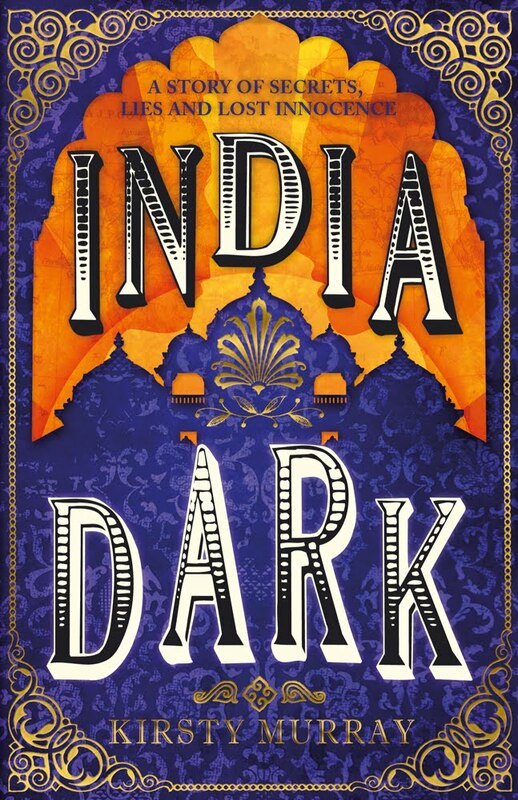 India Dark took me to India to travel across modern India but at the same time it also sent me time travelling back to 1910 to see those places through the eyes of children who lived in the era of the Raj. Many of my other novels have taken me to amazing place and I’ve had adventures that, as a suburban kid, I could never have dreamed possible. I’ve written nine novels since 1998. Each one of those novels has opened up new ways of seeing the world for me and helped me to understand my place in it. I’ve favoured writing about child and teenage characters because in a way it was the child I was, the child that never went anywhere much on those long suburban summer holidays, that propelled me into literature. As a writer, the biggest adventures have been the ones that I’ve had at my desk. That probably sounds twee but it’s true. The life of the mind – the adventure of imagining your way into the world – is limitless compared to any ordinary bus, train or plane journey.